Daniel Web-Builders and Marketing is a group of experienced Web designers in South Africa. The company offers web design services, Online marketing strategies, Web design courses as well as the Search engine optimization. "Now Hot Deal! 50% Discount until 07/01 /19, Call and Claim This Discount. Get For Free 1000 Social Network Clicks To Your Website." (terms and conditions apply). "The Secret of our Growth is based on the obligation to help our Customers grow, we become then an indispensable part of their Success"
- A beautiful website with an attractive design that does not bring leads? It is true that we all need Attractive Web Design. 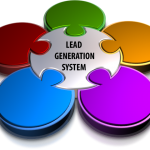 - A clean and optimized website that is well ranked in the most of powerful search engines? It is clear that the purpose to have websites is to generate Leads, this is possible when we focus on optimized websites or website optimization. Many people think that the first step in developing a website is the look and feel. 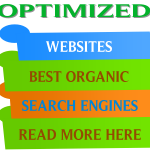 In fact, the basis for website design should be the (SEO) search engine optimization strategy. Look! if no person or search engine "spider" can find your website then believe that your website is not an effective marketing tool. What is Search Engine Optimization - (SEO)? Millions of people use Google every day to search for everything from "Free Website Templates" to "sporting store" for instance, in Johannesburg, Sandton, germiston, Pretoria or in any other country in the world. Those people click on the first results Google returns. Nobody goes to the 15th page.This means that only the websites that are in the first positions get found. Search Engine Optimization (SEO) is a collection of tactics that help a website rank in the first positions of Google for search terms that describe their business. There is no other form of online marketing that can deliver a return quite like Search Engine Optimization. Often times a business won't have success with search engine optimization because they sign up with an inexperienced company or one that is simply outsourcing the work overseas and has absolutely no idea what a successful SEO campaign consists of.So many businesses get burned by these low quality companies that simply don't have the knowledge to deliver results. When done correctly SEO can deliver nonstop organic traffic that would cost a tremendous amount of money if it was being paid for through a paid search campaign on a per click basis. Many businesses are under the assumption that Search Engine Optimization only needs to be done until top rankings are achieved, but that is not accurate at all. 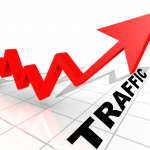 If your website reaches the top spots it will require even more work to maintain and continue to improve the rankings.Your competition is going after those top positions as well, so you need to either compete to beat them to it or sit back and let them take the majority share of traffic for your industry. Are you going to sit back and just hand them business? Simply ignoring Search Engine Optimization (SEO) is just giving your competition business without a fight. Mobile traffic continues to increase at a rapid rate and it is now outpacing traffic from desktop computers. 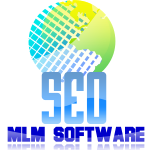 Search Engine Optimization -SEO allows your business to be found by consumers that are actively looking for the services and products your business provides. Local search engine optimization can help your business be found by individuals that can turn into store visits, phone calls, or even instant online purchases. Mobile search is the future, so you need to make sure your business is ready for it. With a Search Engine Optimization (SEO) strategy in place you can increase the odds of your potential customer base locating your website and engaging with your company. Think about how convenient the Internet is for a consumer. They can search for a business, review products, review the business, and even make purchases. This can be done from the comfort of their home on a desktop, or while on the go from a tablet or mobile device. 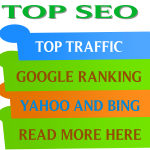 If you want to be found online then you need SEO. What we do? 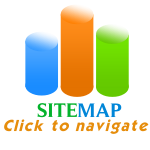 >> CUSTOM WEB DESIGN - CMS WEBSITE DEVELOPMENT - SEARCH ENGINE OPTIMIZATION. We offer our services to Small and Medium size businesses. Daniel Web-Builders and Marketing is a professional web design company in Johannesburg, Germiston - South Africa, specializing in CMS web design (Joomla, Mambo, WordPress, Drupal, A Tutor, Open class...), web development, on-line marketing and search engine optimization. We regularly build affordable websites based on the Joomla, WordPress, Mambo! CMS (Content Managed Site) that you can easily edit and manage. We design professional church websites using CMS programs. Convert your website into a Mobile App and sell on Google Play Store. You can do that in 03 steps.